An Ancient Solar System...: Answers for Authors: How could we make Venus habitable? 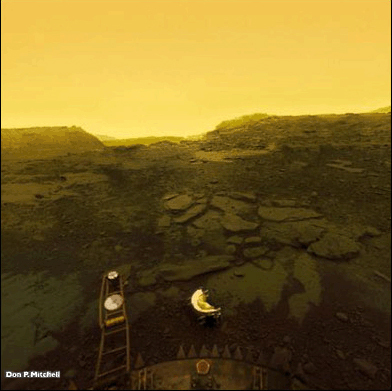 Answers for Authors: How could we make Venus habitable? Above: Fraser Cain of Universe Today talks us through it. Human colonisation of Venus doesn't sound too smart on paper. Terraforming Venus – a world that is much closer to Earth in size, surface gravity, and location than almost any other – is a much harder proposition than terraforming a sun blasted airless desert like Mercury or our Moon. Mainly because of what is already there – Venus’ atmosphere. The surface is drowned under a CO2 atmosphere so thick and hot it's almost more like a boiling ocean, and turns the planet into a badly maintained suburb of hell. The pressure is over 90 atmospheres, and the temperature tops 450 degrees Celsius everywhere except the mountaintops – on which heavy metals, rather than H2O, snow out as a glittering coating. Above: The barren rocks of Venus today, beneath the hazy sky and pressure cooker atmosphere. To add to the worrisome brochure reading for a colonist, it rains sulphuric acid. 1: Drop thousands of huge asteroids onto Venus. It’s the brute force and ignorance approach – smash huge asteroids hundreds of kilometres wide into Venus until the atmosphere is blasted away into space. Brute force and ignorance has a lot of charm in some situations, but in this one it’s stunted by the Venusian gravity: Nearly as strong as Earth’s, it means that it would take thousands of such huge impacts to eject enough atmosphere. Worse, the ejected atmosphere would remain in the vicinity of Venus’ orbit, so that same high gravity might well just re-absorb it. Lastly there’s the inconvenient fact that either wed have to space the asteroid strikes so widely that the whole process took hundreds of thousands of years, or so many huge asteroid strikes in quick succession would turn Venus surface into a lava ocean, like the new born Earth had – a lava ocean that would generate lots of hot gas, replenishing the lost atmosphere. 2: Drop massive amounts of calcium and magnesium from space. A more realistic alternative is to use chemistry on a massive scale to turn Venus’ atmospheric gas into something else. One idea - less mad than dropping huge asteroids but still pretty mind bending in scale - is that the atmosphere could be reacted with refined magnesium and calcium, turning it into carbonate rock. Using calcium and magnesium we’d need more than twice the weight of the giant asteroid Vesta of each. 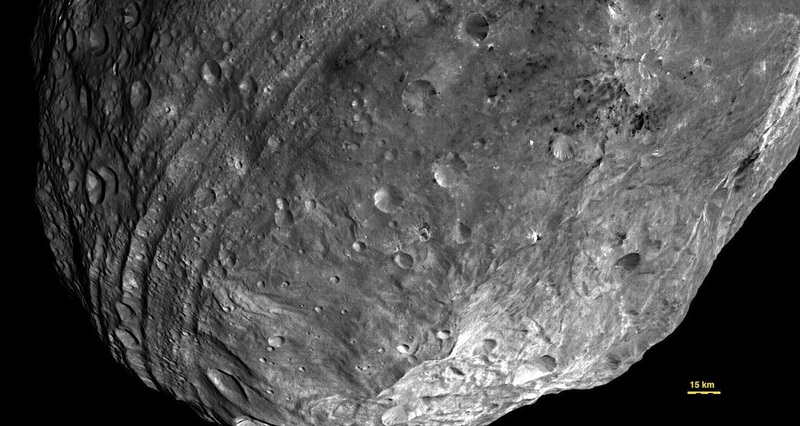 Above: The giant asteroid Vesta. A whole lotta rock. 3: Drop huge amounts of hydrogen into the atmosphere. The atmosphere could also be reacted with hydrogen, via an aerosol of iron in the atmosphere, turning it into graphite and water. The attraction of this approach is that it delivers a worldwide ocean to Venus (roughly 10% the volume of Earth’s) at the same time the atmosphere thins. If we used the hydrogen approach we’d need mass mine hydrogen from the water ice of one of the icy moons of Jupiter or Saturn. Still, this would make a more workable approach than the giant asteroid strikes, unless anyone’s especially fond of living on a ball of lava. And no one wants to live on a ball of molten lava. Aside from Darth Vader (minor spoiler for Star Wars: Rogue 1 there, sorry). 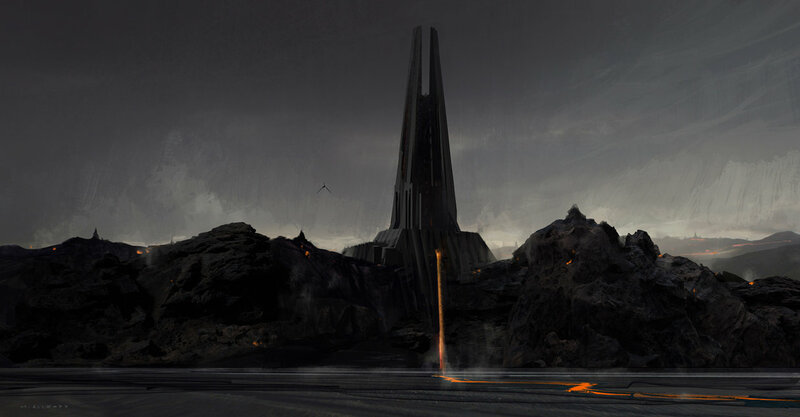 Vader, Sauron, Voldemort...I can't help but think there's an Ikea 'dark lord's castle' flatpack all these guys are all just modifying slightly. This is actually a way that falls between terraforming Venus and simply colonising its atmosphere: Cool it with sunshades. Once it drops below a certain point the atmospheric CO2 would start to snow out as crystals that could then be scooped up and shipped off world. There are two ways we could freeze Venus enough to do this: Orbiting sunshades, or with sunshades floating in the upper atmosphere. If we based our reflectors in space they’d have to be big – and by big I mean really, stupidly, huge: The best place to site such a reflector would be the point where the Sun’s gravity and Venus gravity cancel out… but it would need to be four times wider than Venus itself. It’s the second option that would give the crossover with more near term colonisation – there would need to be an enormous number of sunshades floating in the Venusian atmosphere, and some of them could actually be floating cities. Keeping them aloft wouldn’t be a problem, as breathable air would be a lifting gas on Venus. We’d only need to coat the upper surface with a high reflectivity layer, and they'd fit right in with the countless floating reflectors we'd need to fill the atmosphere with. 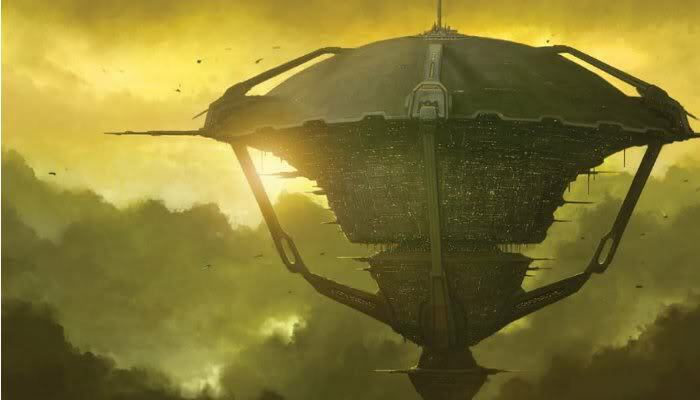 Above: An artists impression of a huge floating city in the atmosphere of Venus. The time scale for all of these ideas is looong – thousands of years – but eventually the atmosphere would thin. 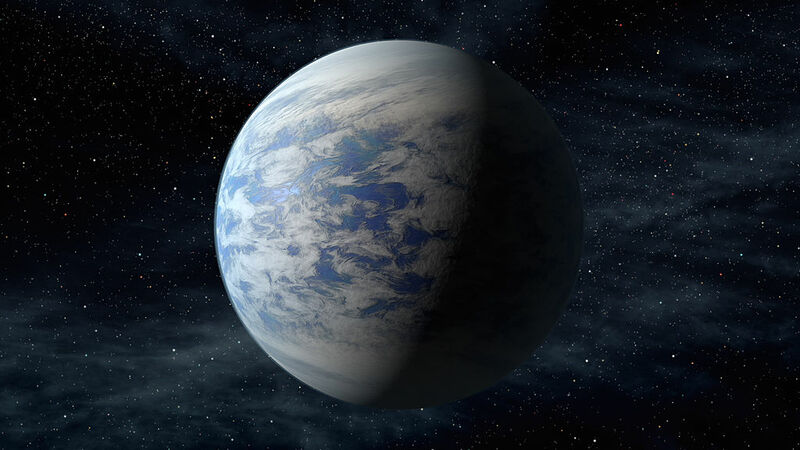 Water and organic molecules to support life could be imported from the outer solar system. What would our new Venus be like? There's no moon in the sky, but Mercury shines as a brilliant evening / morning star, and the Earth and moon are an incredibly bright point of light in the night time sky. Venus has no axial tilt to speak of - so there are no seasons. Nice read. The topic of colonizing Venus is fascinating to me, and I love to contemplate or write about those possibilities.